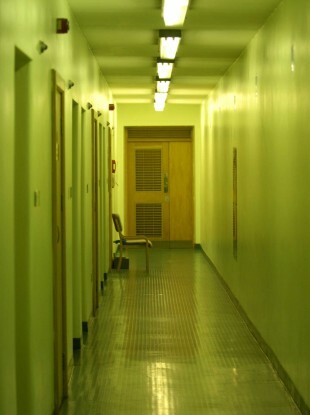 Empty corridors of the Dochas Centre, Mountjoy Prison. AN ARCHBISHOP HAS criticised the treatment of female prisoners at the Dóchas Centre in Mountjoy prison. Archbishop Diarmuid Martin made the comments, which related to a recent report published by the Department of Justice, while celebrating Mass in St Peter’s Church in Little Bray, during the dedication of the altar in the newly restored church. The Department released documents on Friday that were reports into the treatment of prisoners in a number of Irish prisons. One of the reports stated that on an occasion at the Dóchas centre in 2010, women had to strip off all their clothes in front of male staff members, which was not acceptable. The believer cannot but be concerned about models of society which alienate men and women from attaining the fullness of their dignity. In this context I cannot but express my own concern about the plight of prisoners in today’s Ireland where our system has been the subject of consistent international criticism. The recent reports about events in our women’s prison are worrying in themselves, but more worrying because the concerns of responsible citizens appointed in our all our name to monitor standards in our prisons seem to be simply rejected off hand by authorities. The Archbishop concluded that “in a democratic system what goes on behind the walls of our prisons is a matter of public interest and must always be open to appropriate yet independent public scrutiny”. Along with the Women in Prison Reform Alliance, it is calling for the immediate publication of any internal investigations into these incidents. According to the Dóchas Prison visiting committee, the departure of Governor McMahon halfway through the year marked a low point in the prison, which was impacted by the low levels and occasional absence of ranking officers in the prison. The committee said that it was deeply concerned by a search carried out by a team that included both a physical inspection of the prison and an examination of women using the BOSS chair, the latter of which was condemned by the committee. Having locked down the prison, and having searched prisoners, the search required women to be brought to the gym where they were required to remove clothing including underwear in the presence of male officers. A small number of towels were passed among the women, a number of whom were not adequately covered. The committee said that this was unneccessary and humiliating for the women. However, on Friday, Minister Alan Shatter said male officers were not present – the Irish Penal Reform Trust expressed grave concern about the situation, and demanded a full investigation. It also noted that there was censorship of incoming items at the prison, which resulted in women not having access to fresh underwear on occasion in 2010, a lack of toothbrushes on another. “This is wholly unacceptable,” said the report. The departure of Governor Kathleen McMahon from the prison was described as a low point that impacted on the running of the facility, which was impacted on by low levels and absence of ranking officers. The prison experienced its first suicide in 2010, which was described as traumatising for staff and the individual’s family. The committee noted that women prisoners do not have the option of open prison, training unit or other alternatives available to male prisoners. The prison continues to experience overcrowding, with 150 people in a space designed for 85 women. A quarter of the women at the centre are on methadone programmes, and the committee questioned whether prisoners with serious mental health concerns can be adequately cared for in Dóchas Centre. Email “Criticism of 'strip search' in women's prison ”. Feedback on “Criticism of 'strip search' in women's prison ”.